Urban revitalization strategist and social ?techpreneur? Majora Carter is a living embodiment of President Barack Obama?s 2008 presidential campaign exhortation, ?We are the ones we?ve been waiting for. We are the change that we seek.? Instead of waiting for others to improve the condition of her South Bronx neighborhood, she began the transformation herself. Carter returned to her native Hunts Point section of the Bronx, New York, after pursuing and then deciding against a career in film, and after studying English in the hope that she would ?go on to write the great American novel.? Soon, the Wesleyan University graduate found herself involved in environmental issues occurring in Hunts Point at the time. ?In particular, the city wanted to build a huge waste facility on our waterfront, so I got involved in sustainable solid waste management on the advocacy side for the community and communities like it around the city. It?s exactly what led me to where I am right now,? she notes. it was all about creating human capital and supporting it within our community.? 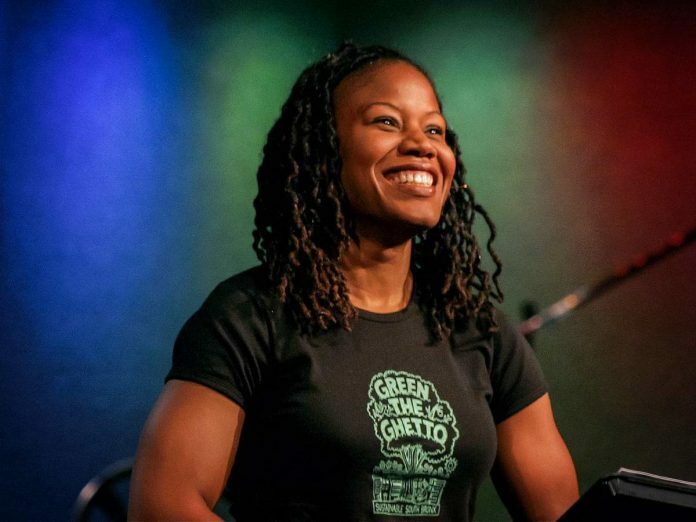 The training system Carter speaks of is the Bronx Environmental Stewardship Training program that grew out of her SSB nonprofit and led to another program, Green for All, which she co-founded with political activist and CNN contributor Van Jones. In 2012, ?The Green Power Broker,? as The New York Times called her in a 2008 article, expanded her scope to focus on economic development. Says Carter, ?The question became: How do you give people opportunities to feed their communities in ways that allow them to grow and economically prosper, in turn, making them better, happier citizens? I realized if we don?t create the kind of community people want to live in, people leave the community.? She launched StartUp Box #SouthBronx, a tech social enterprise designed to help residents of low-income communities participate in the tech economy. ?We did market research and discovered a part of the software development pipeline that was not being well-tended to, in particular software testing, which is mostly sourced in Eastern Europe, China and India. We discovered that if we can build a business around that, we would be able to, number one: control 100 percent of our hiring, in which case we can select people from our own communities and do away with hiring bias; and number two, create an income-generating business that actually has some longevity associated with it,? Carter says. She continues, ?At first, nobody had any confidence that you could actually build a business, locate it in a low-status community and expect it to survive.? Though funders were doubtful of the idea, Carter and her team kept at it and finally found a company that provided the seed money to move the startup along. 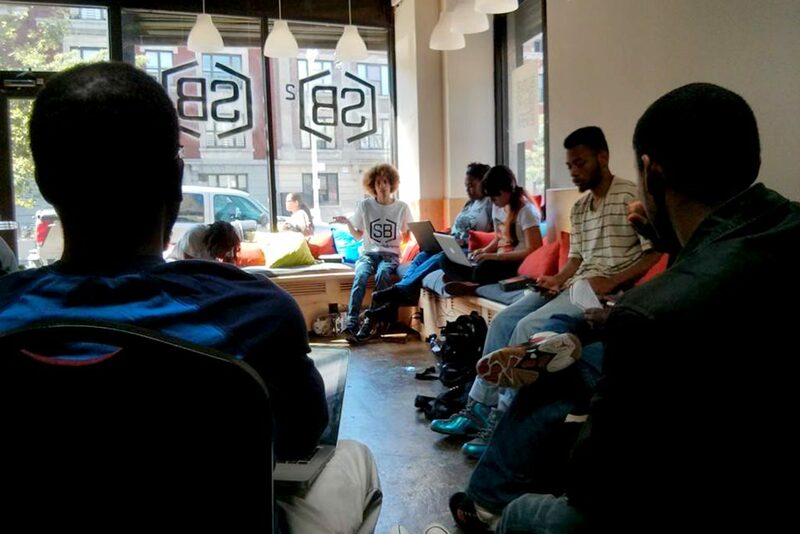 Now in its fourth year, StartUp Box, staffed by local residents, provides software testing and other kinds of software services to the South Bronx market and beyond. Carter?s goal is to develop these types of community enterprises in order to retain local talent. ? [People] don?t have to move out of their neighborhood to live in a better one,? she says.